Over the last several years, Jaguar has slowly fleshed out a lineup of crossovers. It started with the midsize F-Pace before adding the smaller E-Pace and introducing the electric I-Pace (shown above). But the British firm may not be done just yet, as it may soon have an even larger crossover in its lineup. 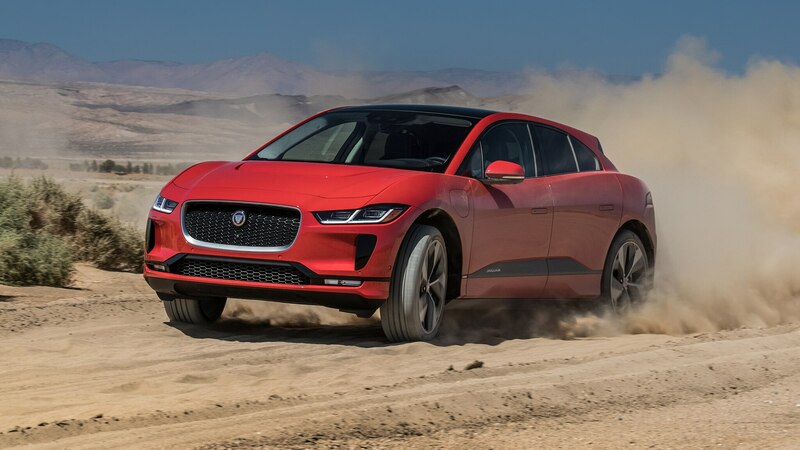 According to a report from Autocar, Jaguar’s developing a larger crossover that will likely be called the J-Pace and could arrive in 2021. Expect it to ride on Jaguar Land Rover’s new all-aluminum MLA platform, which will be used for all JLR vehicles by 2025 and should be significantly lighter than the current platforms. Autocar‘s source claims one of the J-Pace’s defining features will be electrically driven rear wheels. Without a conventional all-wheel-drive setup, Jaguar will theoretically be able to maximize passenger space and cargo volume, although it’s unknown if it would offer more than two rows of seats. It will reportedly be sold as a plug-in hybrid, with JLR’s new inline-six under the hood powering the front wheels. Its electric range is said to be at least 50 miles, which would allow it to be used as an EV in many situations. There’s also a chance that a four-cylinder version will be offered, as well as a fully electric version. And while the Range Rover that shares its platform will be the boxier, more traditionally styled SUV, expect the J-Pace to borrow heavily from the I-Pace’s sleeker design. Assuming this report is accurate, we shouldn’t have to wait too much longer to see the real thing.